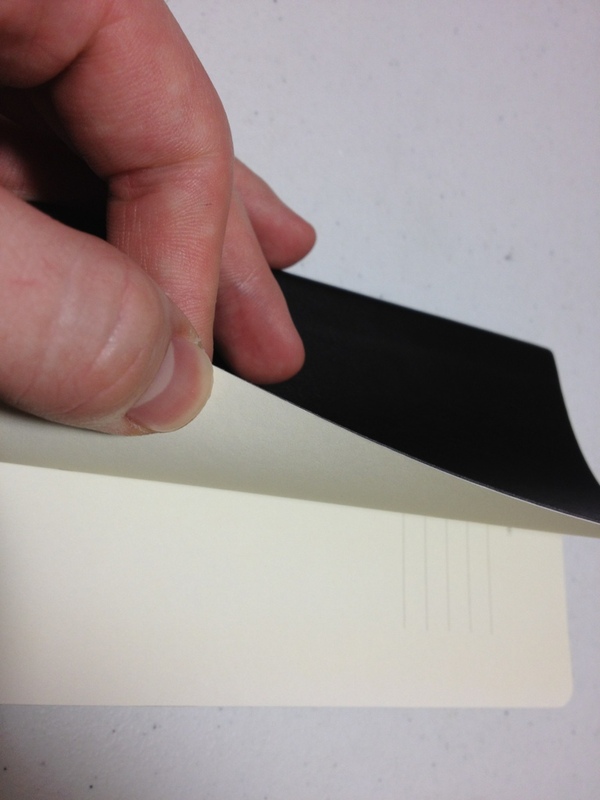 I’ve already reviewed the Moleskine pocket notebook in hardback, but I’ve also used the softback version, and since there are a few key differences besides the obvious, I though I’d highlight them. So this is only half a review, if you want to know about the paper you can look up my other Moleskine pocket review. So the cover is obviously soft. It is a lot thinner and as such you can see the binding through it, especially on the back where you can see the attachment points for the elastic band. They are a bit intrusive and noticeable. 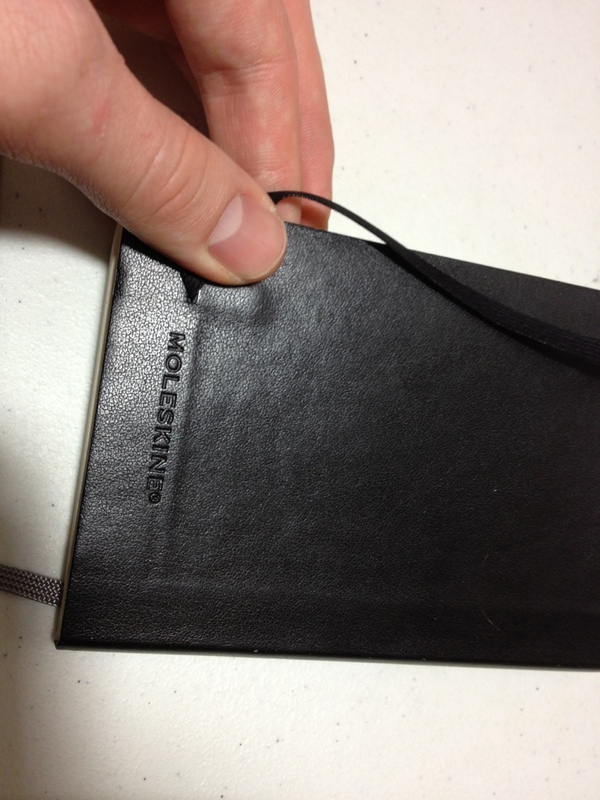 The cover is blank aside from the name Moleskine stamped rather deeply into the back cover. The look is a bit like the regular Moleskine, but the pages are cut the the same length as the cover, and it looks a bit more shiny. 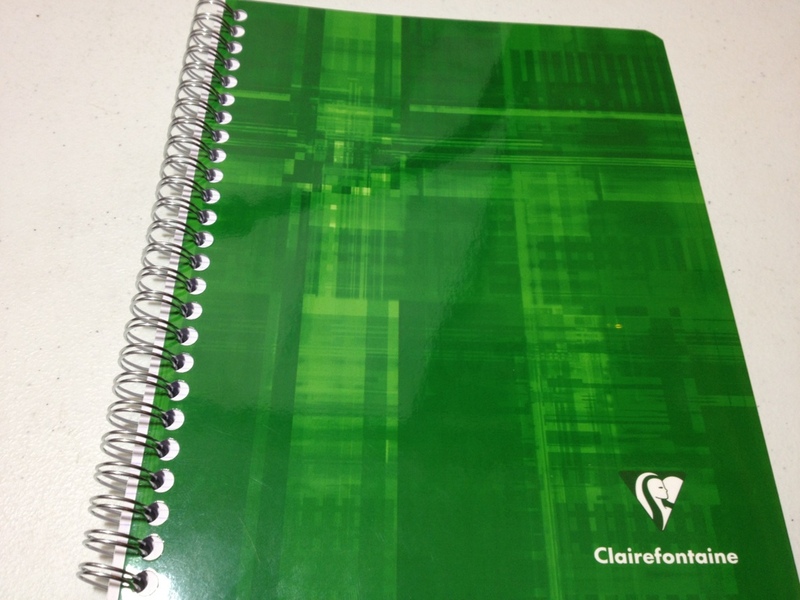 The front cover can roll up on itself and then bounce back, but it never fully regains its former shape. 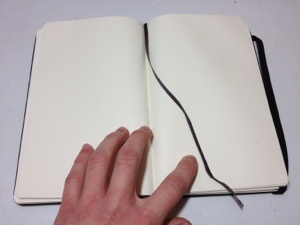 The back is much less flexible due to the back pocket that comes Moleskine standard. 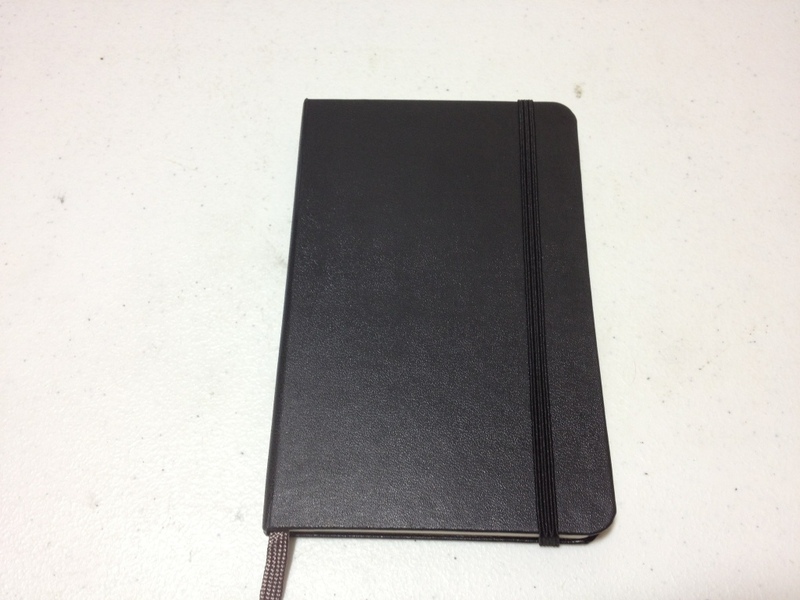 The cover also feels almost moist and rubbery, and any minor scratches and such simply bounce out unlike the Rhodia Webnotebook. The softness does mean that the elastic band leaves very noticeable marks on the cover and sometimes the paper. The spine in contrast to the hardcover feels much more durable and able to stand up to long, continued use. Which style of cover is better is a decision you have to make. 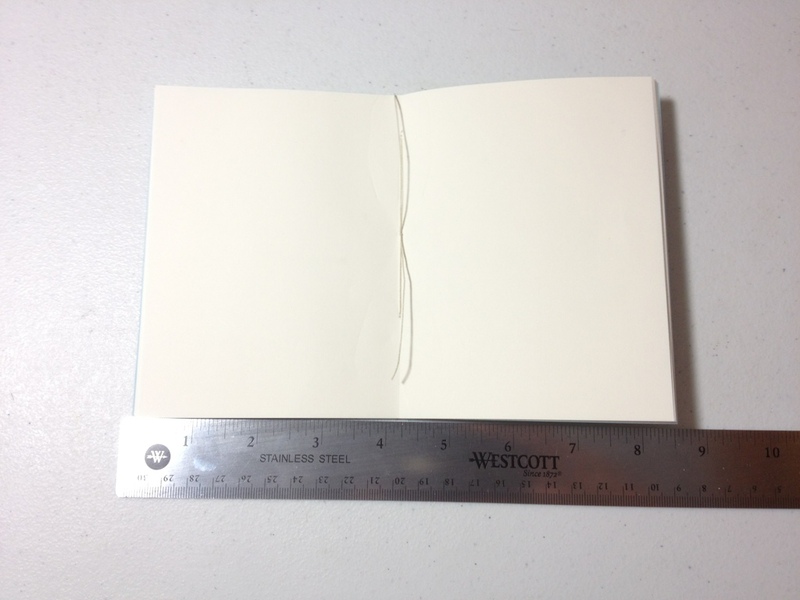 This one is flexible, easily fits in a pocket, and is harder the permanently damage than the hard cover, but it offers less page protection and stability for writing, so it’s give and take. 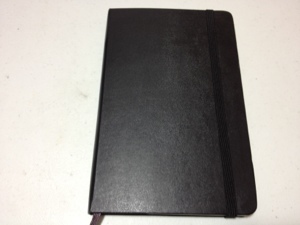 Well, it’s that time again, time to talk about a little black book. This one’s particularly good for fountain pens. 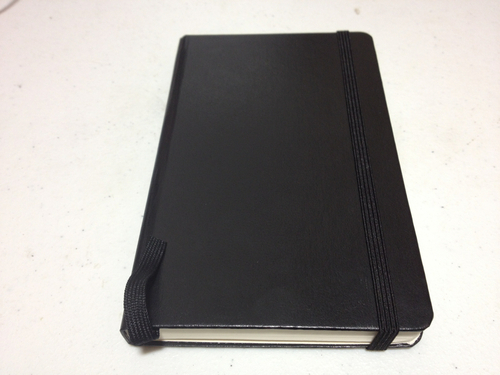 It’s the Rhodia Web-notebook pocket black version. 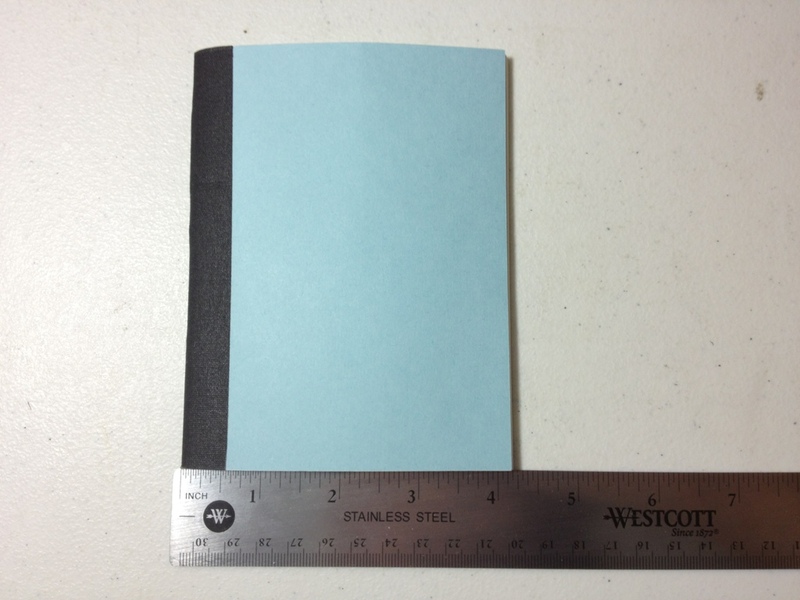 The dimensions are almost exactly the same as the Moleskine, with the exception of it being slightly thicker. The cover is a strange, and easily warped, faux-leather. It is quite pleasant to hold, and the spine sustains much less damage than with stiffer cover books. 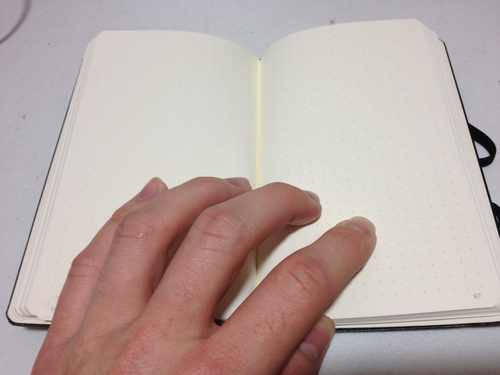 Not to say the cover is flexible, it is definitely hard, though the Moleskine still holds the record for notebook most like a rock, the Rhodia does have a little give in it. 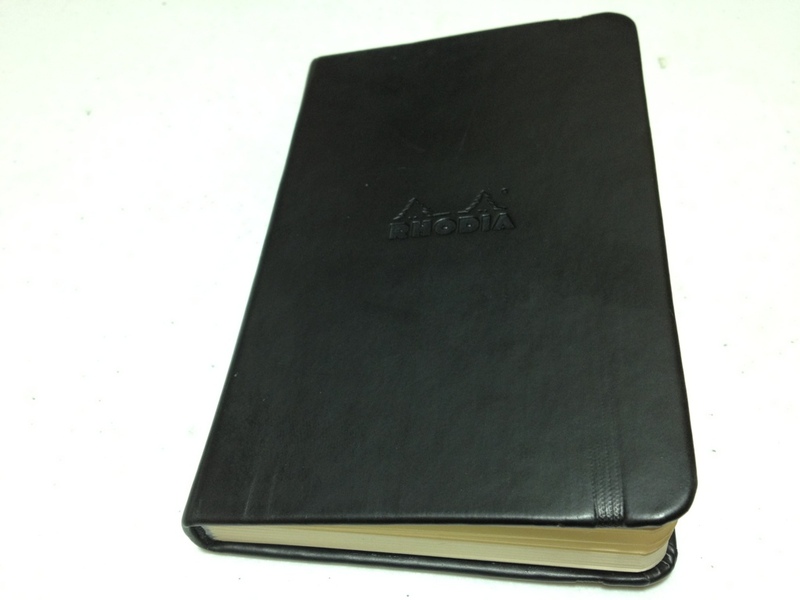 Also on the front cover is a stamped Rhodia logo and an elastic band holds it all together. The standard pocket in the back tops it all off. 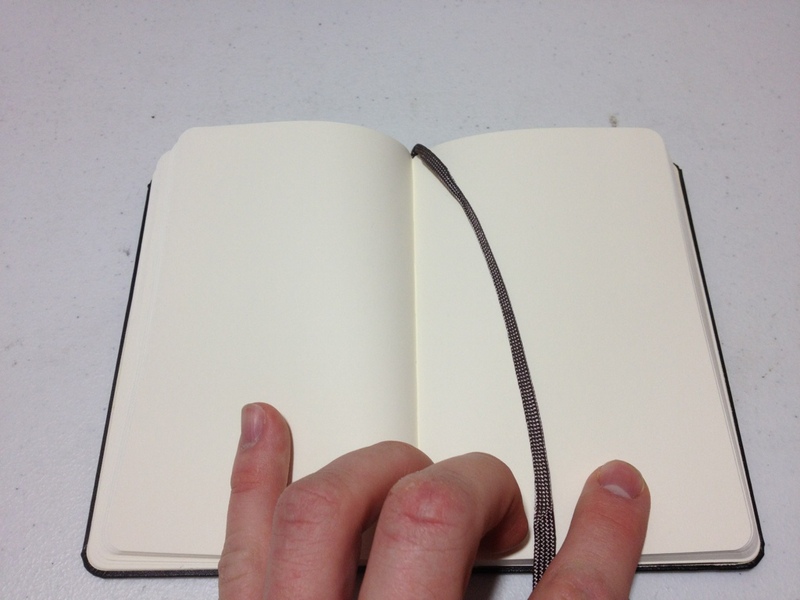 Inside there are the same number of pages as the Moleskine. The pages are thicker though, the first page is unusable and gives you their specks. They are slightly off white with a bit of an orangish tint. This version has them lines with thin grey lines and a slight margin on top. The paper is insanely smooth, as in the smoothest paper I’ve ever written on, right there with Clairefontaine, being made by the same company that makes sense though. It takes ink well, and it even dries relatively fast on there, though there are some problems with bleed through on broader nibs or wetter inks. 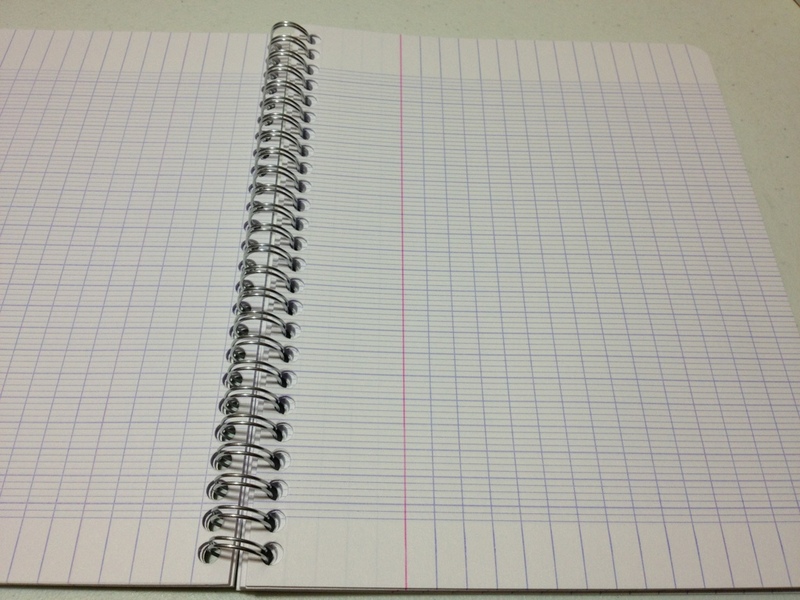 It should be noted that the paper is different from the larger notebook paper. So overall, if you have a fountain pen and need a notebook, this is a better choice for you than almost any other notebook on the market. Though if you’re drawing with flex pens or thick brushes be aware that you’ll still only be able to use half the pages in the book. Though bleeding onto the next sheet is something I haven’t seen. 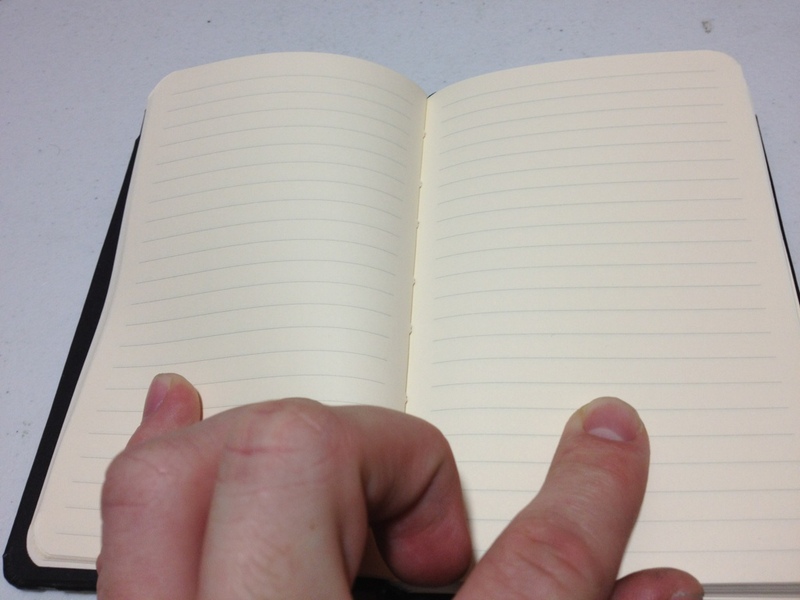 Are these the best pocket notebooks? It depends on what type of pen you’re using, and how much you care about the feel of your notebook, because this one does feel quite different.